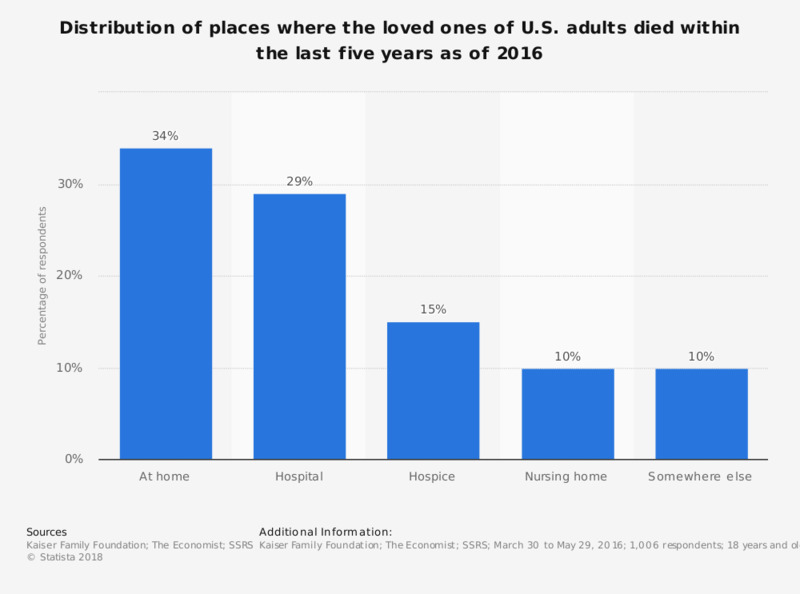 This statistic displays the percentage of adults in the U.S. who had a loved one that passed away in the last five years and the location at which their loved one died. According to the data, 34 percent of survey respondents had a loved one die at home, compared to just 10 percent that had a loved one that died in a nursing home. Original question: Among those that have experienced the death of a loved one in the past five years: "Where did your loved one die?" Views and Experiences with End-of-Life Medical Care in the U.S.